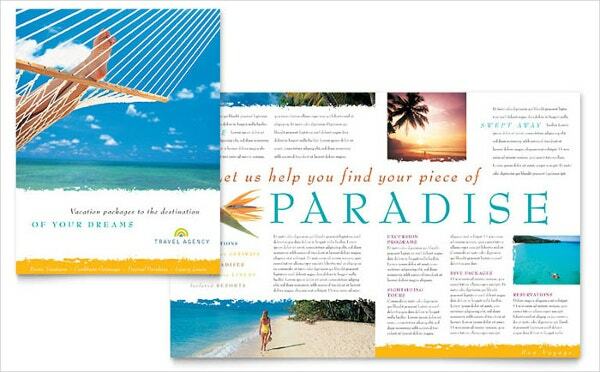 A travel brochure is a must when it comes to inspire your traveler-clients. It’s one of the most popular marketing strategies since ages and is widely used still now. 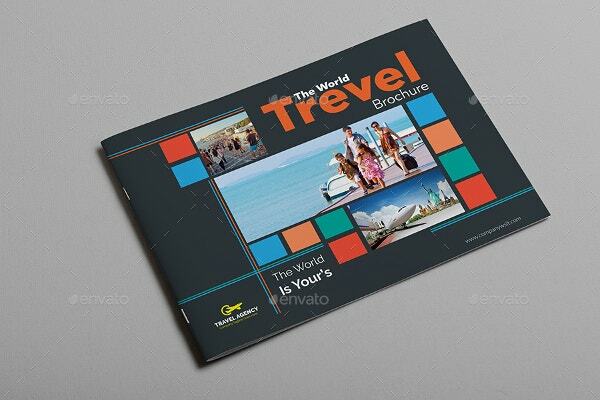 With amazing pictures of great destinations and pulling details about them, the travel brochures do much to trigger the wanderlust in all, making the long for a dream vacation. 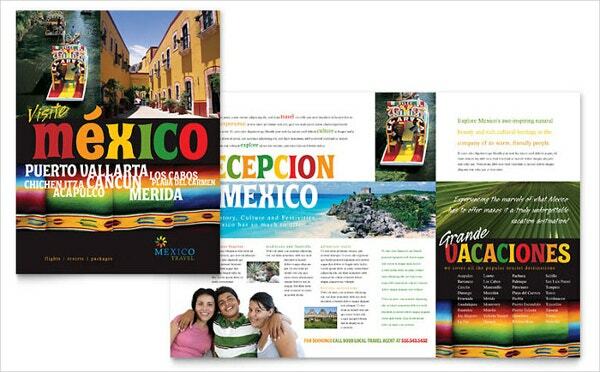 If you own a travel agency, your marketing campaign would be incomplete without a travel brochure. 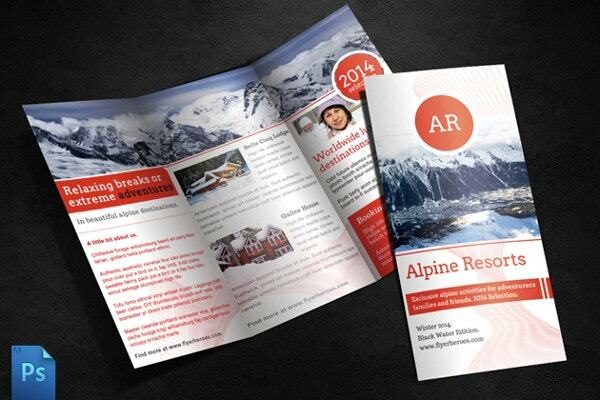 You can also see Holiday Brochure Template. 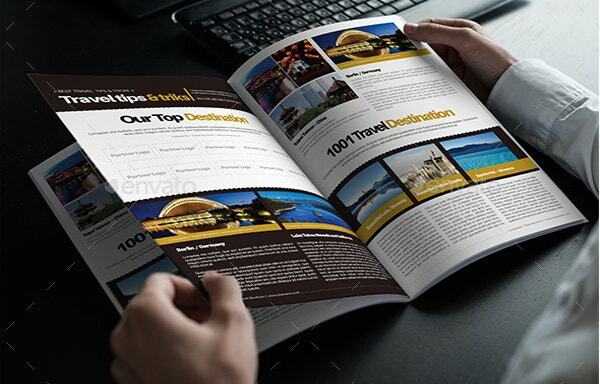 The travel brochure is not just about your upcoming tours but offers you space to talk about the unique qualities of your agency and what amazing services the travelers can expect from you. 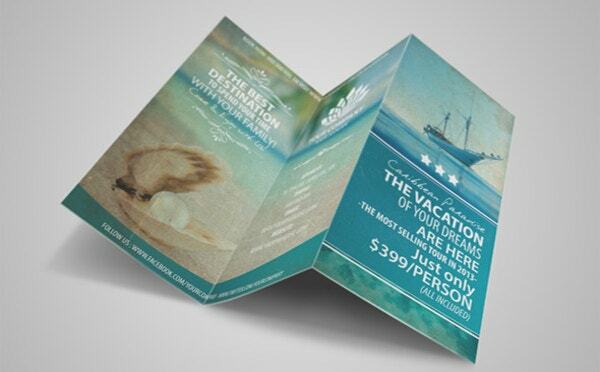 If you are running a discount offer lately, you can even promote that with your travel brochure in word. 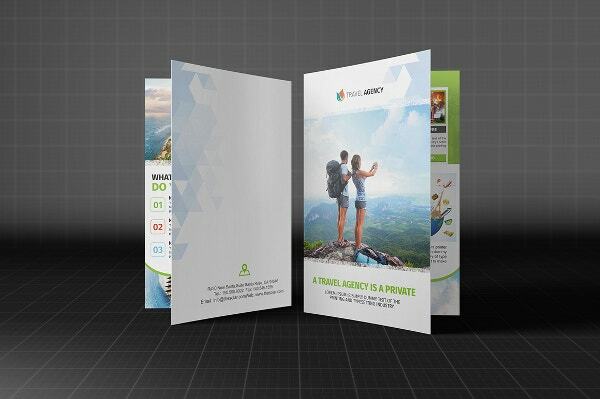 The advent of the digital world has made it convenient to design travel brochures online. 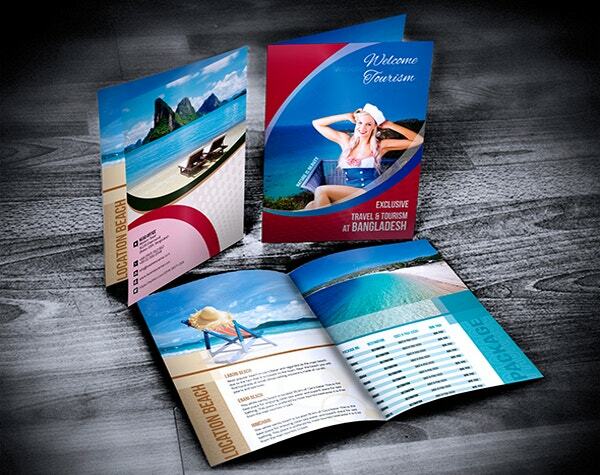 But then, you also have free download travel brochure template options that can ease your work further. 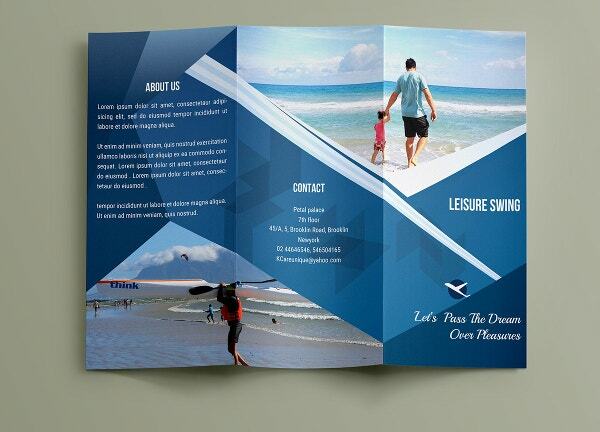 The travel brochures come up in various types. First of all, it’s used by different businesses. 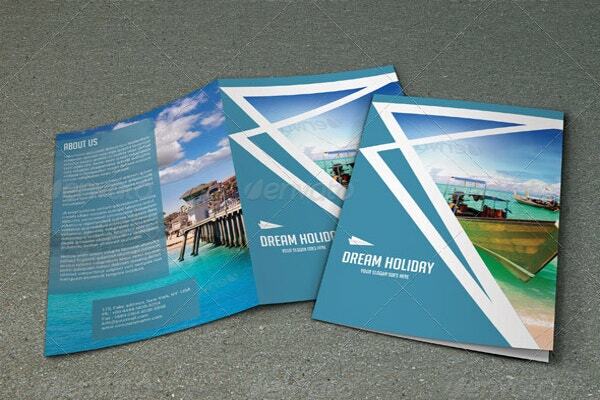 Yes, of course it’s used by the travel agencies but you also have the travel brochure PSD templates that are used by hotels or holiday resorts and real estate companies highlighting a vacation property.Then, there are travel brochures based on the purpose of advertising campaigns. 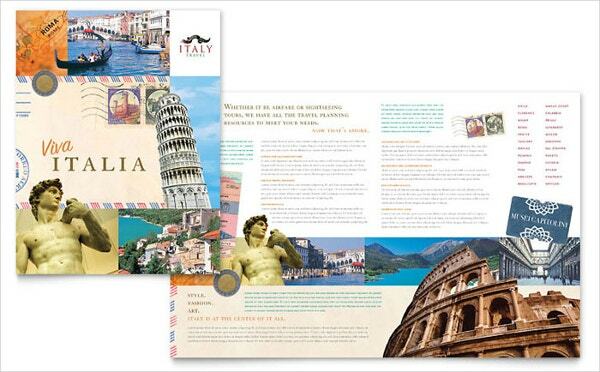 There are travel brochures that can help to advertise your upcoming tour packages, or promote special deals. 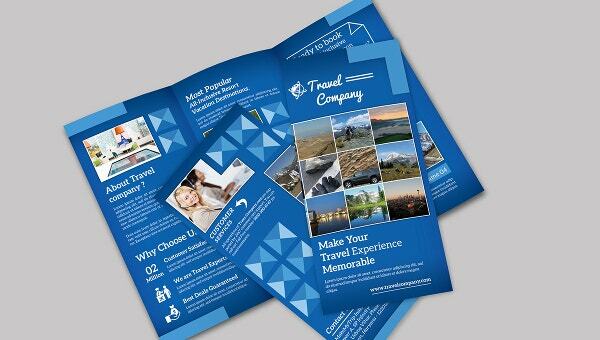 Otherwise, the downloadable travel brochure templates can also be used to promote about your company and its great services in general. 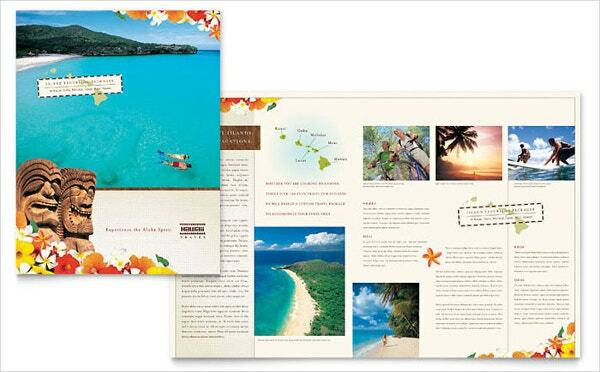 Besides, there are travel brochures dedicated to some special themes- like jungle or beach or summer or student tours etc. 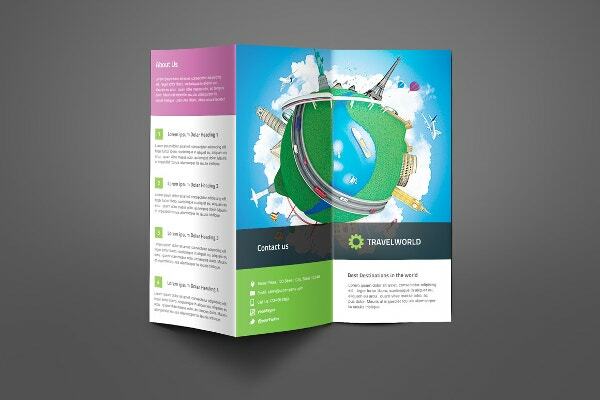 Moreover, you will get one-page, tri-fold and bifold travel brochure templates. 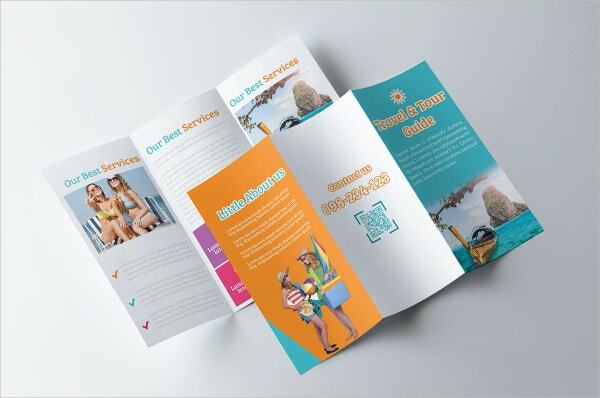 If you are getting a readymade travel brochure sample, won’t that be a relief in your busy life? 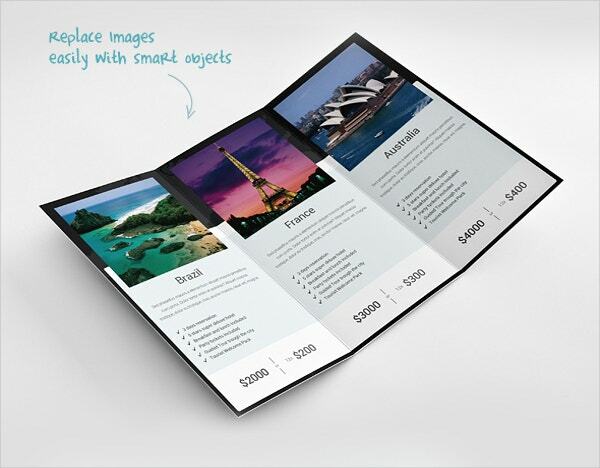 Certainly yes, and the travel brochure templates do the same thing for you with their pre-constructed brochures and pre-defined spaces for pictures and pointers on what to include as text. These are easily customizable and can be printed out in a flash. 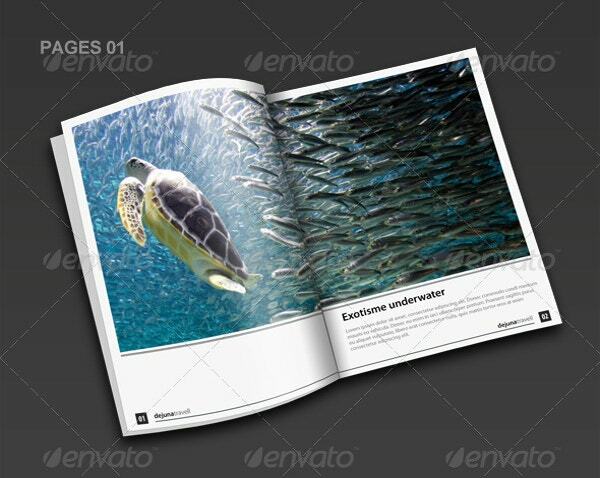 Use the most appealing picture on cover page and then arrange others in descending order. 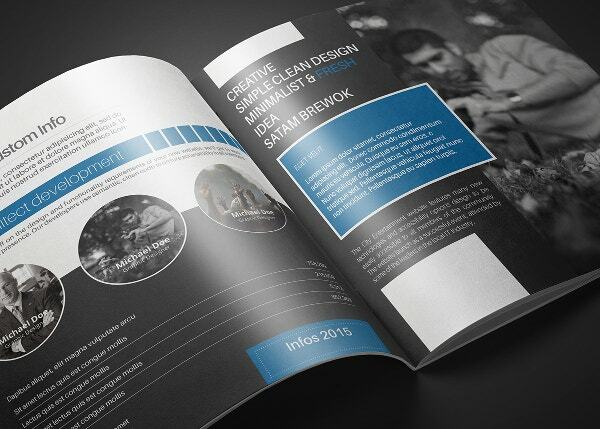 If you are looking for the best travel brochure PSD templates online, we are ready to help you here at template.net. 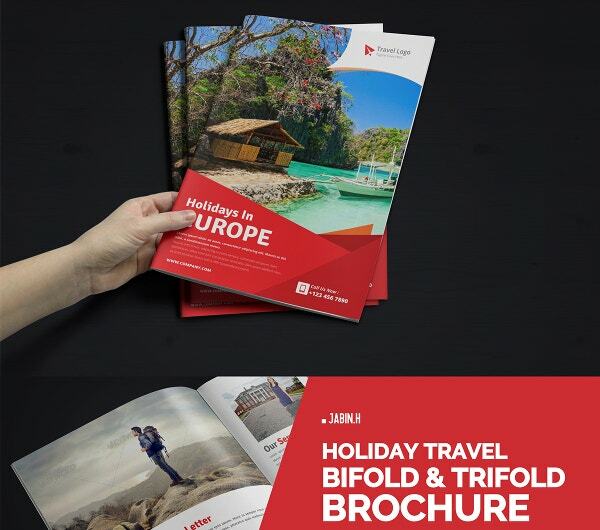 We have amazing templates for every purpose of travel brochure designed by experts for an amazing advertising campaign for you.